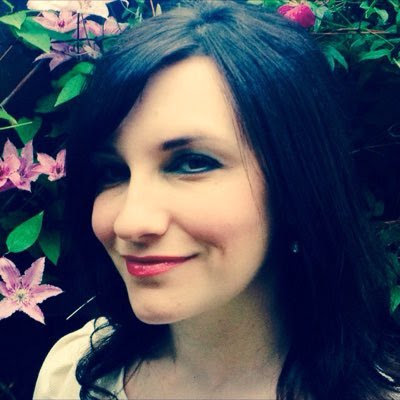 I am always excited to have Michelle Harrison on the blog, as she is one of my favourite authors. Michelle's latest Middle Grade novel, The Other Alice was published last week. Here is my review. 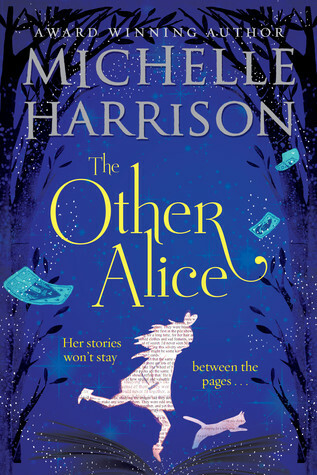 The Other Alice is also my Book of the Month for August. Each book I've written has been a different experience, mainly due to whatever else is going on in my life but also because, six books in, I know more about my strengths and weaknesses as a writer. My first book, Thirteen Treasures, was written at a leisurely pace and then redrafted over several years as I searched for an agent. Everything I've written since has been much faster due to having deadlines – usually about 18 months from start to publication. The starting point is usually a question, or a recurring thought. I don't remember the exact moment I began thinking about all the unfinished stories in the world, but it's something I've thought about often: all these characters and worlds unfinished, waiting for an ending that never comes. Many of these stories are probably average or terrible (I can speak for myself, here) but undoubtedly, there are gems with real promise. What if the characters' desire for an ending were enough to bring them to life? That's how The Other Alice began. My stories are driven by plot first, characters second. The plot I have to puzzle over, whereas the characters tend to arrive in my head, often unexpectedly. The first thing I do is write an outline. I call this an 'extended blurb', because it's a longer version of what you'd see on the back of the book. I don't give away many answers at this stage, because I don't know them myself. This gives me a framework so my editor and I know roughly where I'm headed, and usually it has enough detail for the cover to be briefed. Once complete I'll have questions that'll determine the plot and the characters. 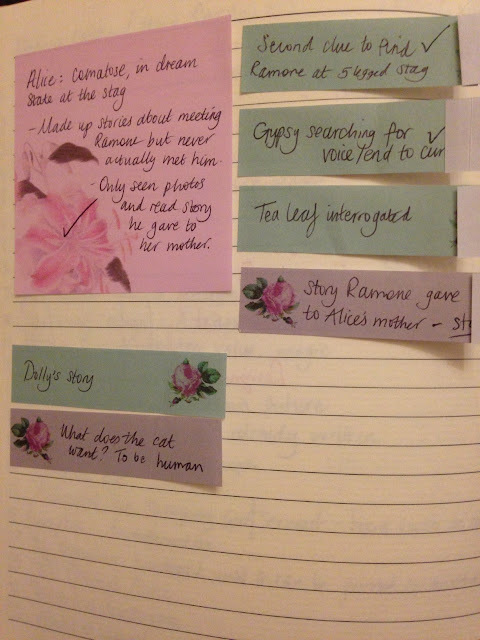 For The Other Alice, these were: What would trigger the characters stepping off the page into the real world? What control would the author have then? How does the author cope? Who is going to figure out the ending? Who is the villain? And what would each of these characters do once they find out they're just a figment of someone else's imagination? I'm pretty old-fashioned – I use Word and write each chapter as a separate file, piecing it together at the end. 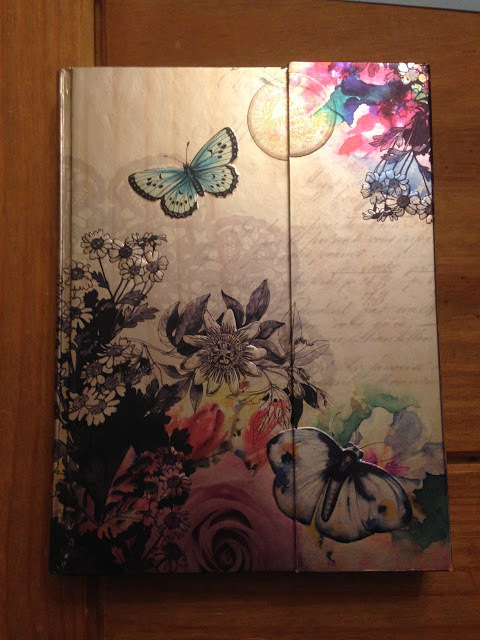 I use notebooks (always pretty ones) for character profiles, plot points and brainstorms. Sometimes I jot these on post its so they can be moved around. I'll also list potential character names and place names, mix and matching until I get the right one. One of the characters, Gypsy, lives on a narrowboat that I couldn't quite pin down, so I held a competition for my fans to name the boat. Sure enough, the perfect name – Elsewhere – came up. 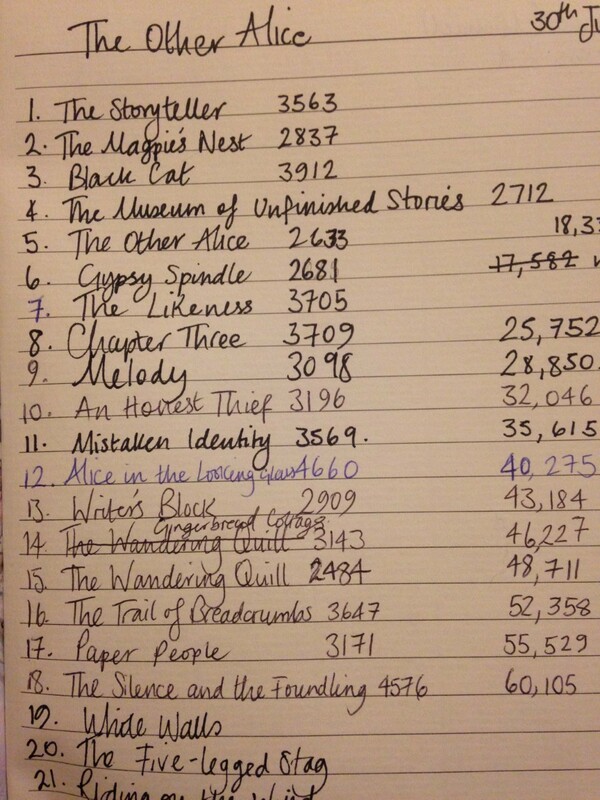 In addition I keep track of my chapter titles (I love thinking these up) and their word counts so I can watch them grow. My notebooks also contain information that never materialises within the book. One of my favourite features of The Other Alice is the set of fortune cards (similar to tarot cards) that Midge finds in his mother's room. Each set is individual to the owner, and these were based on fairy tales. I spent a few happy hours thinking about the entire deck of cards and what their meanings could be, but only a few are actually mentioned in the story. I struggle hugely with first drafts, and I'm slow. That's where the bulk of my time goes. That said, this was a tough book to write as it was the first since becoming a mother, and with only ten hours a week paid childcare, the rest I have to get done in naptimes, after bedtime, and with the help of family. My first drafts are overwritten with pointless tangents where I've changed direction. I resist editing on the go; I just don't have time and it's more productive to keep going until the end, then fix it after. Distancing yourself from a chapter or scene makes it easier to see faults when you come back to it. It's hard to get that if you're constantly rereading. I much prefer the redrafting stage. 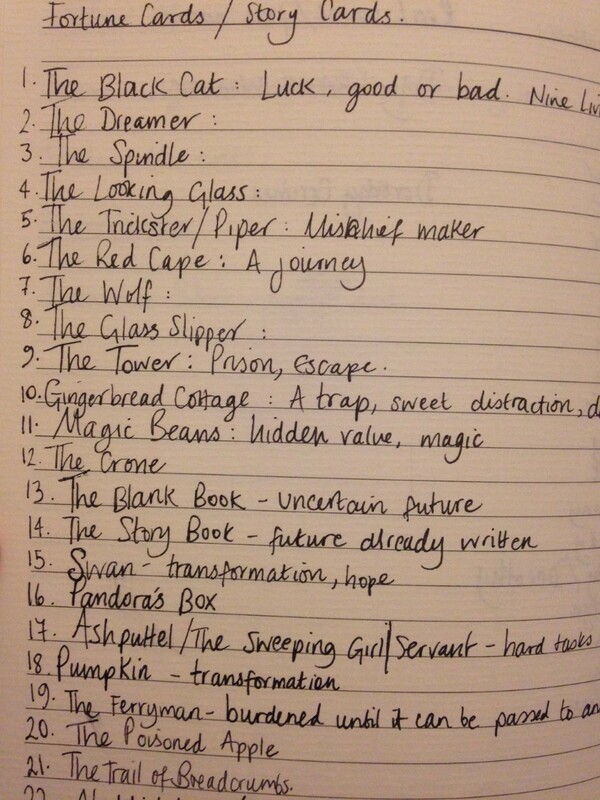 Besides Thirteen Treasures, The Other Alice was my most chaotic first draft. I'd gone too 'meta' with the 'story within a story' concept, and my editor told me I'd blow my young readers' minds – not in a good way. This all needed cutting back and simplifying. Other problems were characterisation and voice. My protagonist, Midge, needed aging down and in that first draft he and Alice had another sister, Cleo. I ended up cutting Cleo out as there was little to differentiate her from Midge. She didn't do much, except act allow Midge to voice his thoughts. I got round this by internalising some of these thoughts, and playing up the role of Tabitha, the talking cat. It was a lot of work but the right decision. Making the manuscript shine with the smaller details during the edits is my favourite part. I love nipping out anything that's extraneous, adding in more clues, and getting rid of ideas that never fully developed. The finished product thrills me more than the journey – perhaps it's the whole theme of unfinished stories and unfulfilled characters coming into play in my subconscious . . .
What happens when a tale with real magic, that was supposed to be finished, never was? This is a story about one of those stories . . .
Midge loves riddles, his cat, Twitch, and ‒ most of all ‒ stories. Especially because he’s grown up being read to by his sister Alice, a brilliant writer. When Alice goes missing and a talking cat turns up in her bedroom, Midge searches Alice’s stories for a clue. Soon he discovers that her secret book, The Museum of Unfinished Stories, is much more than just a story. In fact, he finds two of its characters wandering around town.